Tattoos have been an en-vogue fashion statement for some time now but it can be a dangerous idea to get a tattoo based solely on current fashion trends. A tattoo should represent something personal rather than being chosen simply for the aesthetics. Artwork inspired by other cultures should also be fully understood to comprehend exactly what it depicts, therefore, we look to uncover the meanings and symbolism behind some of the most popular Tiki tattoos for men currently being inked around the world. Based on Maori beliefs, Tiki is the name given to both the first man and the human-shaped carvings made from either wood or stone across Polynesia. As such, Tiki is synonymous with artwork from the whole area covering the central and Southern parts of the Pacific Ocean. This stretches from Hawaii to New Zealand and Papua New Guinea to the Cook Islands where the Polynesian people commonly live. 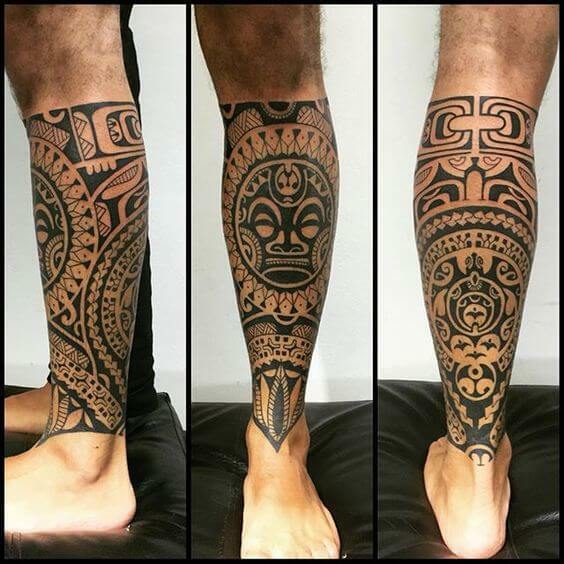 While both Polynesian men and women have always traditionally adorned their bodies with tattoos, a key difference between them comes in the use of large areas of black design specific to Tiki tattoos for men. 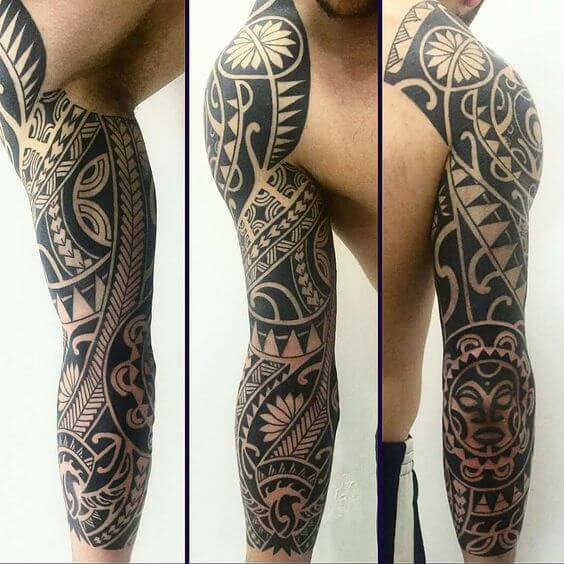 It is these bold images which have become popular in today’s Westernized Tiki tattoos and the reason why they project a sense of masculinity. There are many more layers of meaning and context behind this style of tattoo which are further explained below. The stylized human figure plays a major part in Tiki artwork, with the designs used to portray Polynesian deities and semi-Gods. 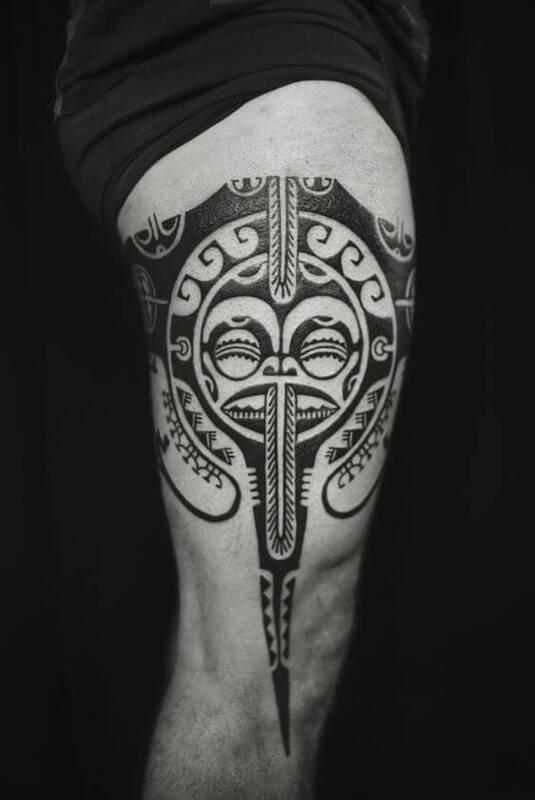 While Tiki is also the name given to the first Maori man, it was the tribal men who traditionally covered their faces in unique patterns which were seen as a right of passage into manhood and are symbolic with what we now associate with Tiki patterns and design. It is widely believed in Maori religion that the Gods and minor deities would reveal themselves to man in the form of a gecko or small lizard. They, therefore, are seen as one of the more powerful images, conveying good fortune as well as a vessel through which to communicate with the Gods and connecting to the invisible world, a role heavily associated with the tribesmen following in the footsteps of Mataora, a legendary figure in the Maori relationship with tattoos. Turtles, meanwhile, are one of the most important symbols within Tiki art and carry a range of different associations. Signifying family as well as fertility, the green sea turtle is commonly used to portray long life and old age as well as representing an Aumakua, a guardian spirit who in this case, acts as a navigator in a time of need to return the men to shore from the Oceans. A closed circle in Hawaiian culture implies both eternity and a smooth life to provide an overall symbol of sacred knowledge. Many of the circular designs within Tiki artwork are also used to represent the sun which generally symbolize leadership, wealth, or the eminence of a person. When added to other designs, these meanings can take on additional meanings and the shape, the style of the sun’s rays, and even the size of the sun in relation to the overall image can portray different meanings. A rising sun typically shows rebirth or a new beginning while a setting sun in a connection with the afterlife, although, not death itself. Polynesians have a strong relationship with the Ocean with the men of the tribe spending their time out at sea to either hunt for food or explore neighboring islands. This close link appears throughout many Tiki tattoos for men, the designs of which are inspired by the sea and the creatures which lie beneath the waves. The Ocean itself is viewed as the final resting place after death but also is regarded as the whole lifecycle and can symbolize fertility or a source of food as well as death and the afterlife. Sharks teeth are used to display power and aggressiveness for the hunters while shells offer protection from nature and dangerous animals, while the fish hook indicates all things good, from strength to luck. The stingray though is one of the most important and underused symbols which not only serve to offer protection, they can mean, peace, grace, speed adaptation all at the same time. This is the original tiki man image with all its glory in shapes all around it. It is the real deal that you will find in original tiki masks. Its simple black shade gives it an authentic look and draws all attention to its details. 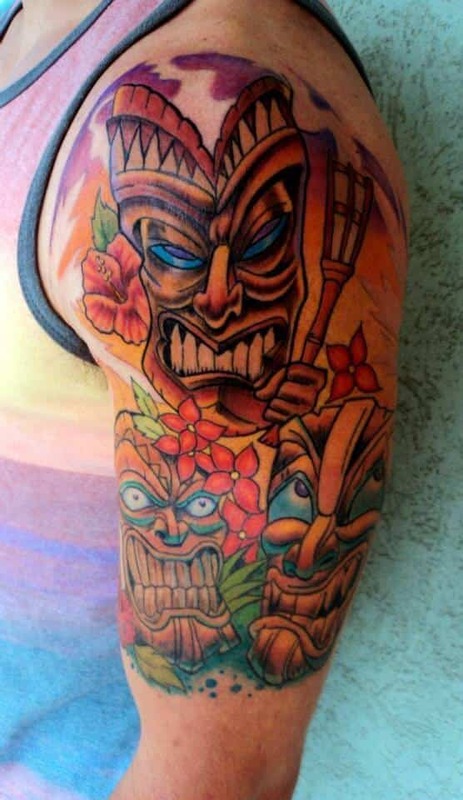 This tiki tattoo illustrates three images of the tiki man. It is drawn to create a joker comical effect especially with the detail around the mouth. Color and flowers are incorporated in it which draws even more attention to it. 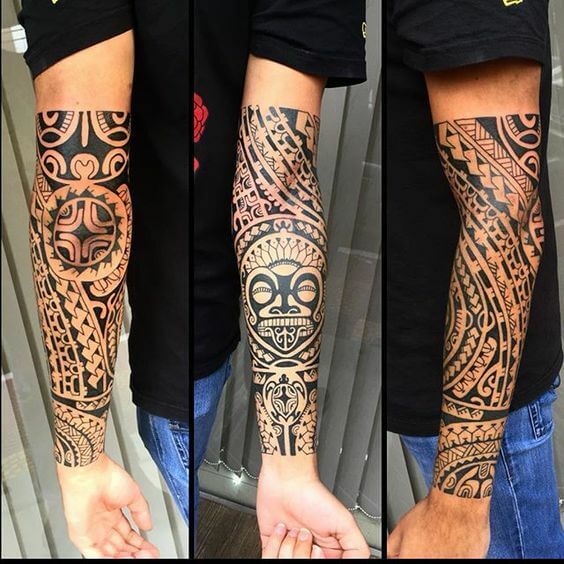 This is a tiki tattoo design that is drawn to cover the entire arm. The actual image of the god is at the elbow area but surrounded by patterns and shapes that clearly authenticates the meaning and story behind the tattoo. These are two different yet similar in origin tattoos that are drawn on both legs. 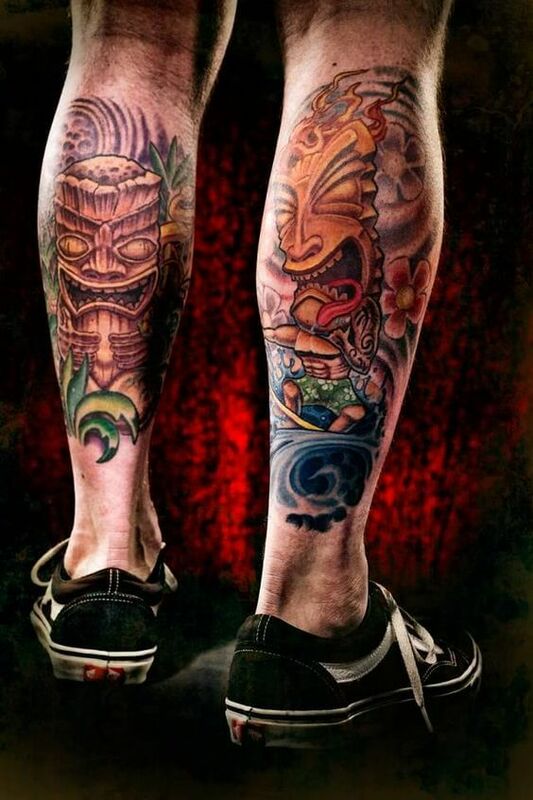 It is an ideal choice when you want to illustrate two sides of the tiki man tattoo in an artistic manner. The rich colors used draw attention to every detail on it. 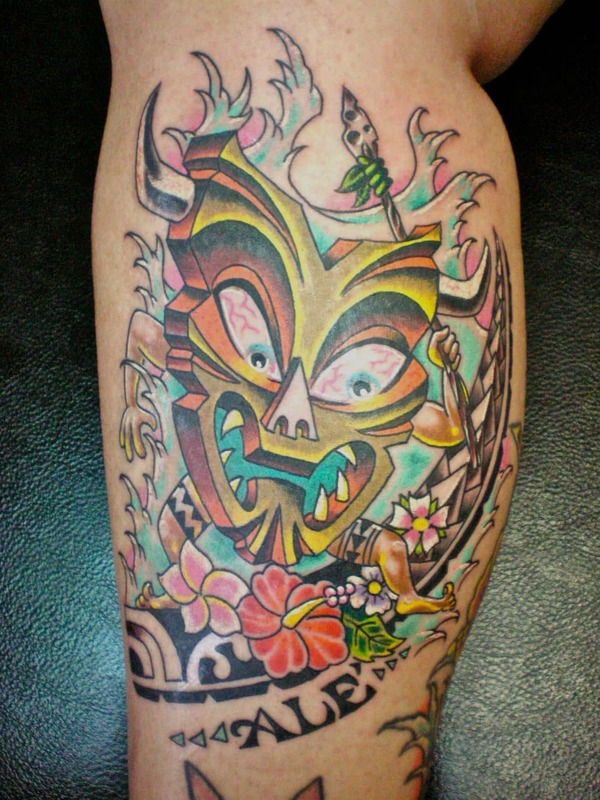 This is one of the best tiki tattoos idea that covers only a small portion of the arm. All the features of the angry tiki man are well illustrated by the rich colors. 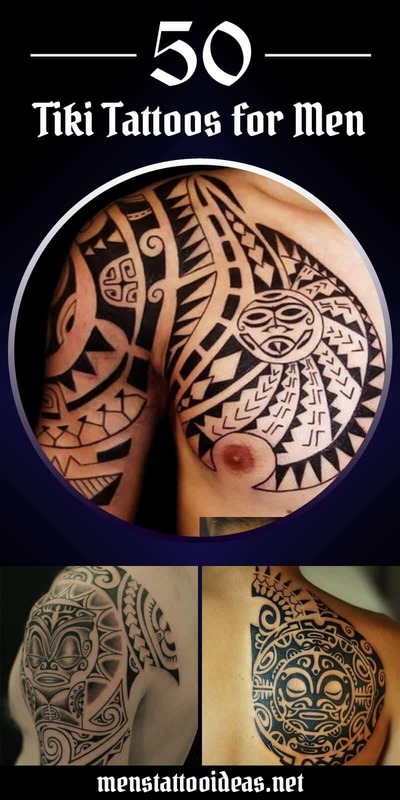 If you are looking for simple yet attention drawing tiki tattoos for guys then consider this. It is in black and white and covers the leg. It is especially best on a well built arm. 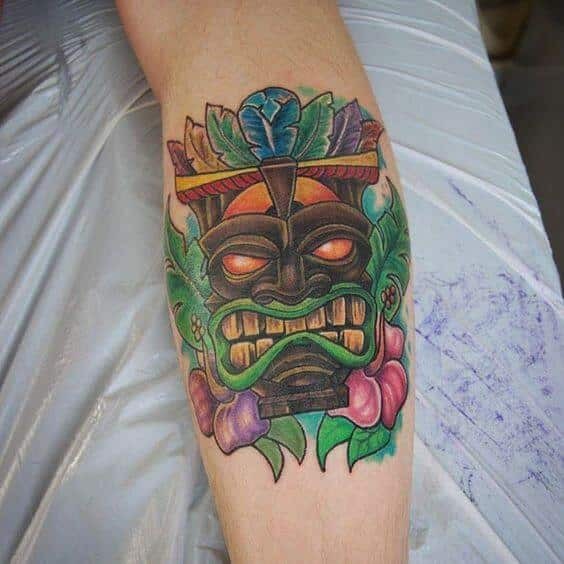 Tiki man tattoos can be fun and this particular one is drawn to create this effect. It is rich in color and color all around it which makes it stand out. It effortlessly draws attention in a fun way. 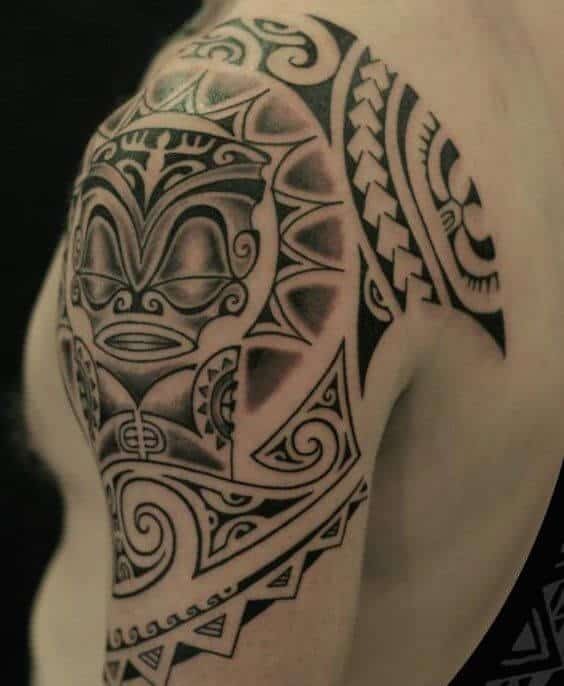 This is one of the most defined tiki tattoos for men that only features the true tribal designs and shaped of this god. It is drawn to cover the leg from knee to ankle with organized border lines. The black ink makes it authentic. This is one of the most illustrative tiki tattoo ideas on an arm. It simply focuses on the ideology behind the tiki man. 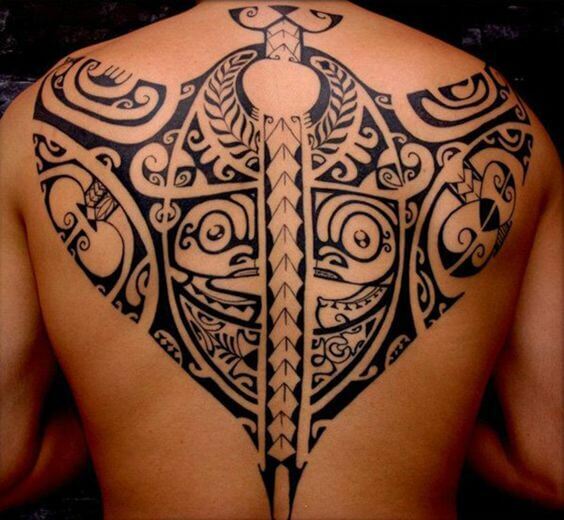 The black ink is used with the tiki man head at the center of traditional patterns. It runs from the wrist to above the elbow. 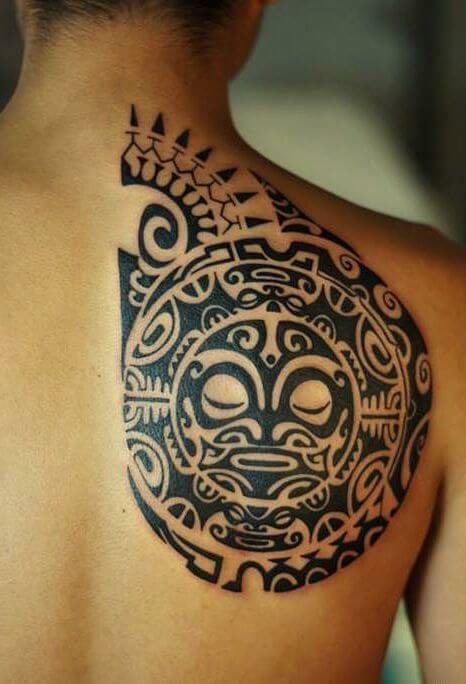 This tattoo conveys the entire face of the tiki man’s face that’s drawn on the quarter upper section of the back. This tattoo is very illustrative especially with the blank ink shade that well defines it.